New Baseball Cap by Miami Ink Clothing is made from 100& cotton fully machine washable. This hat features an adjustable band for the perfect fit. This Miami Ink Cap features the Miss Amor design on the front and is decorated with multi colored metallic rhinestones. ?Miami INK? takes viewers into the inside world of tattooing from the shop, to the artists, and their clients. Get an in depth look at the emotional stories behind the tattoos and the meaning people attach to them. 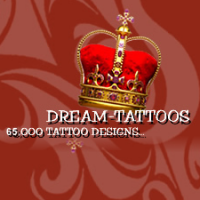 People from all walks of life come for tattoos, from punk rock, to South Beach socialites, to celebrities. The series follows four master artists, Ami James, the tough guy of the bunch, Chris Garver, Darren Brass, Chris Nu?ez, and the apprentice Yojiro Harada. Ami, Darren, Chirs, and Garver met ten years ago when they all studied in Miami under the world famous tattoo artist, the late Lou Sciberras. During their apprenticeship they all lived and worked together becoming the best of friends. Eventually they went their separate ways and opened up their own tattoo parlors in Los Angeles, New York, Connecticut, and South Beach. Their dream was to one day reunite and open their own tattoo parlor together as partners. Watch as TLC follows the friends as they make their dream a reality.